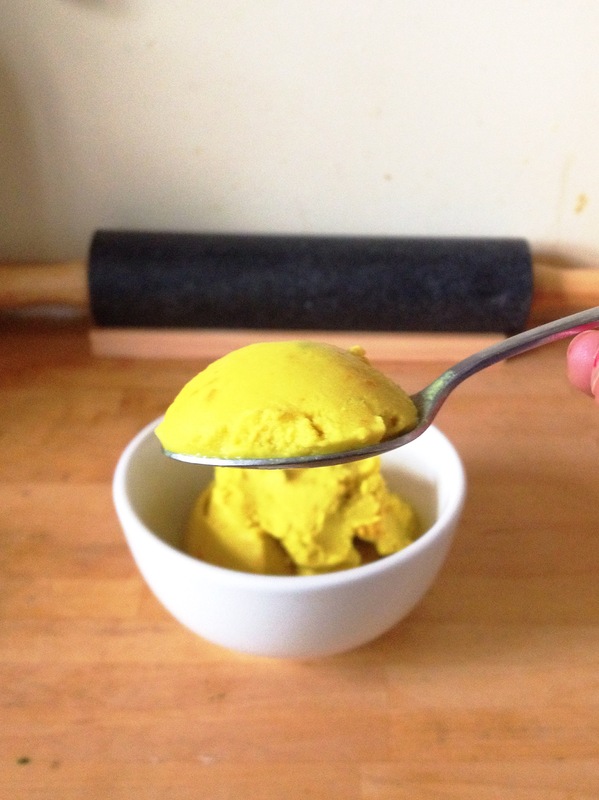 A couple weeks ago while eating a delicious coconut turmeric soup, I got a bug in my brain about making turmeric ice cream. Then a few days ago I found fresh turmeric at my grocery store so there was no choice in the matter, I HAD TO MAKE IT. I went out and got an ice cream maker yesterday and here I am today eating turmeric ice cream. It is dreamy and delicious, a little bit spiced but balanced with ginger and a bit of lime. 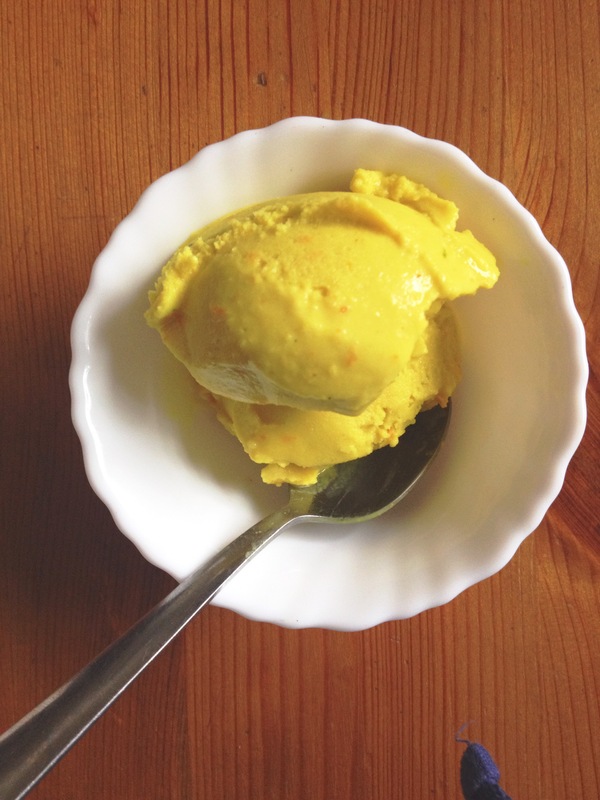 Turmeric has anti-inflammatory properties so it’s almost like this ice cream is good for you. The active ingredient in turmeric fat soluble and made more available with black pepper, which is why you’ll notice the black pepper in the recipe. Also it tastes good! If you’ve ever had golden milk (a warm turmeric infused drink) then this ice cream will be very similar, but you know, frozen and ice creamy. If you are familiar with my way of making ice cream, you’ll know it’s labour intensive and weird (but it works!). As much as I love my weird system, this new ice cream maker is pretty great. It’s an attachment for my stand mixer and it is extremely hands off. Freeze the bowl, pour in the mix, turn it on and go do something else for a while. in a small saucepan heat the coconut milk with the ginger, turmeric and black pepper. If using sugar instead of agave, add it now so that it dissolves. Bring it to just under a boil and then let it steep, the colour will really start to come out. Add remaining ingredients and mix well. This has an incredible colour and sounds delicious…I’ve seen fresh turmeric before but never knew what I’d do with it; this is so creative!